Retired college teacher living in Liverpool, UK. 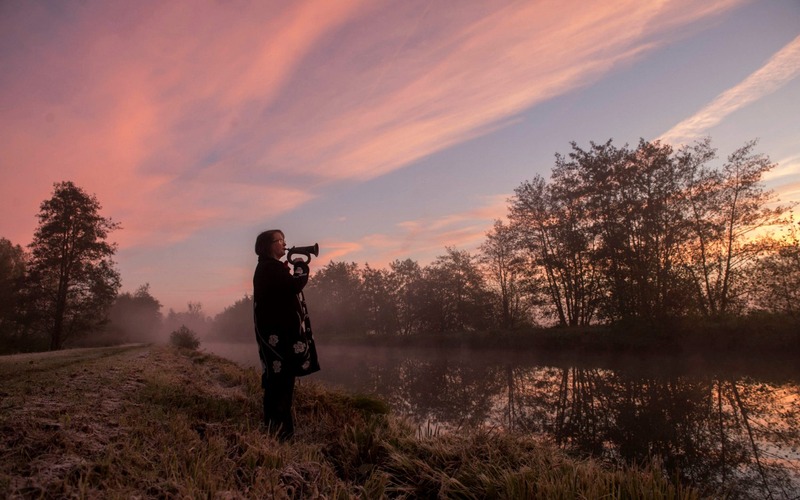 I think it is very very dangerous for our future generations, those of us who believe that the world is not only necessary to us in its pristine state, but it is in itself an act of some kind of spiritual thing. I said once, and I think this is true, the world did not have to be beautiful to work. But it is. What does that mean? 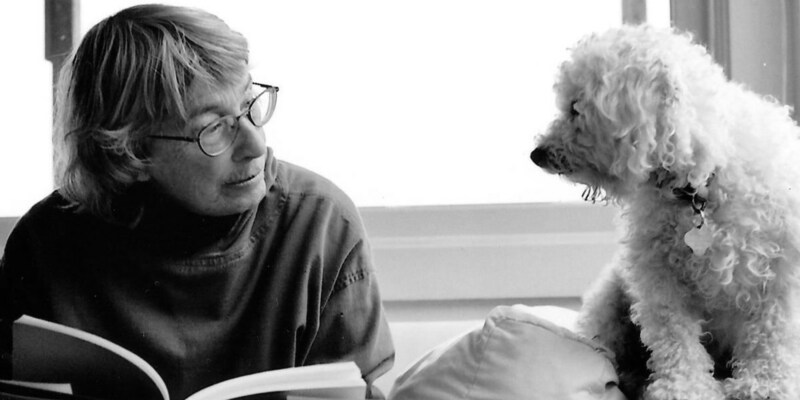 Despite being one of the most popular and garlanded of modern American poets (in 1984 her collection American Primitive won the Pulitzer Prize), Oliver has often not been taken seriously as a writer. But for me she was one of the best. 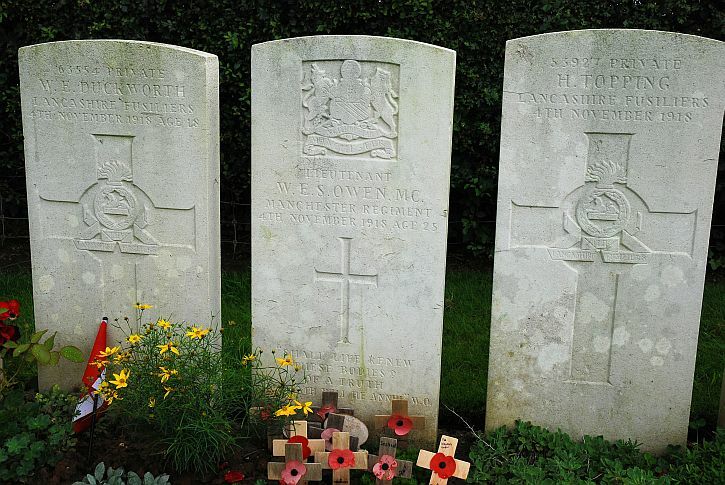 Wilfred Owen died on 4 November 1918 – seven days before the guns fell silent. Yesterday the centenary of his death was marked in the village where he died by a ceremony in which the Last Post was played on a bugle Owen took from a German soldier killed during the battle to cross the nearby Sambre-Oise. This is a repost of the account of my visit in 2014 to the place where Owen spent his last hours. 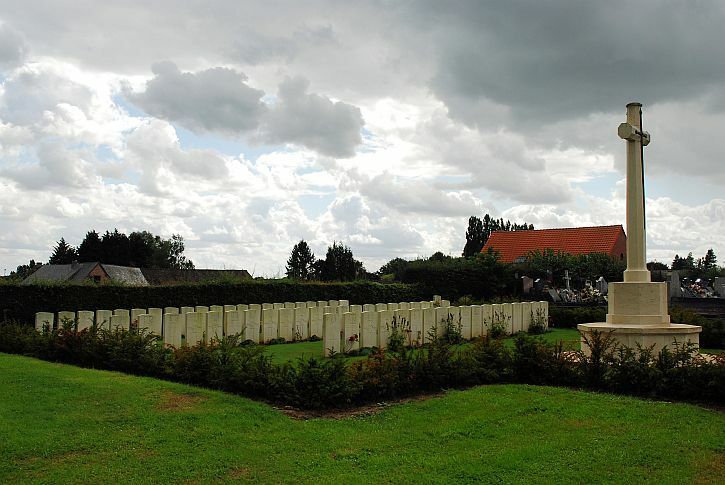 Owen was killed on 4 November 1918, on the Sambre Canal which passes through Ors, a village in a wooded valley some twenty miles to the east of Peronne and the Somme river. 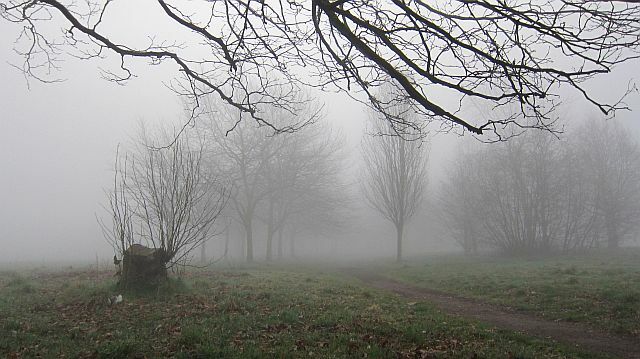 Owen and his platoon had spent the previous night in the cellar of a Forester’s House in the wood outside Ors. Owen is pretty much unknown in France, but I had read that the villagers, noticing that a great number of British visitors came looking for Owen’s grave and the exact spot where he had been killed, and asking to visit the cellar of the Forester’s house, had decided to turn the Forester’s House into a monument to the poet, commissioning the British artist Simon Patterson to turn the building into a place for reflection and meditation. 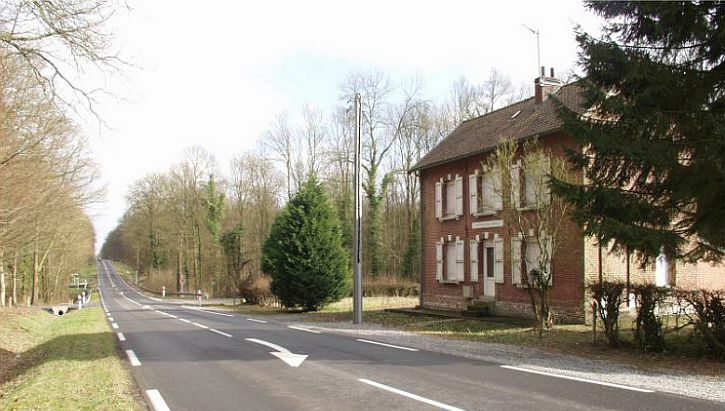 The house, originally slate-roofed and of red brick with grey shutters, stands on a main road into the nearby town of Le Cateau-Camresis. Patterson decided to preserve the exterior of the house, but to remove the roof and gut the interior. 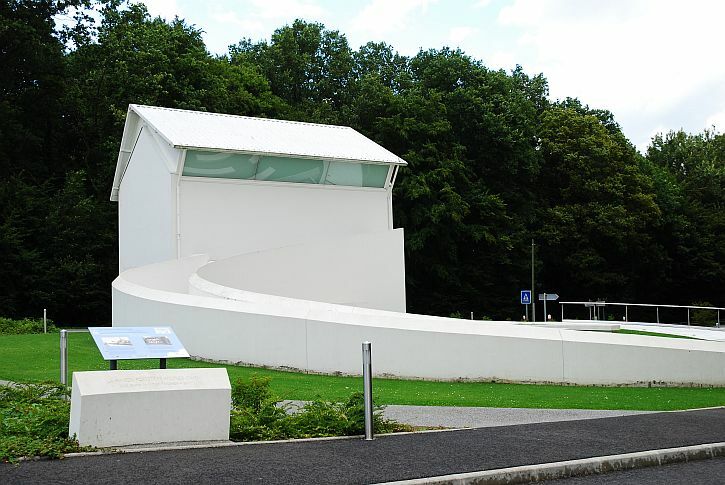 The roof was replaced by a structure that appears normal when viewed from the road, but from other angles takes the form of an open book, with spine uppermost, the ‘pages’ constructed out of glass to admit maximum daylight into the interior. 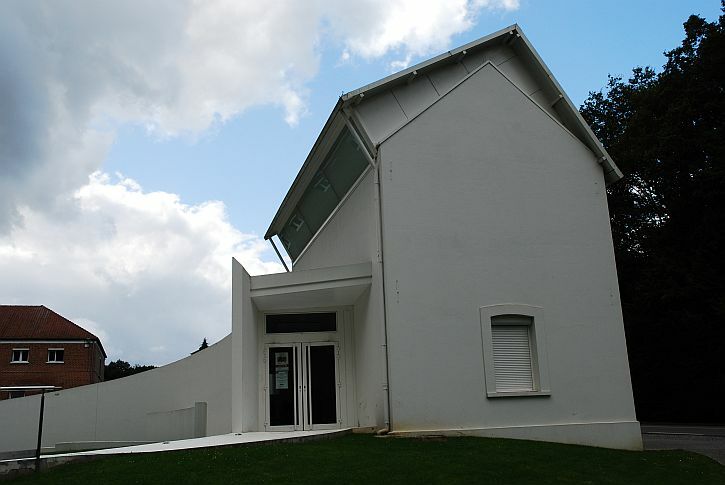 Most dramatically, Patterson had the entire building rendered in brilliant white, giving it the appearance of a solid sculptural object, and making the house stand out like ‘bleached bone’ (Patterson’s words) against the dark forest beyond. 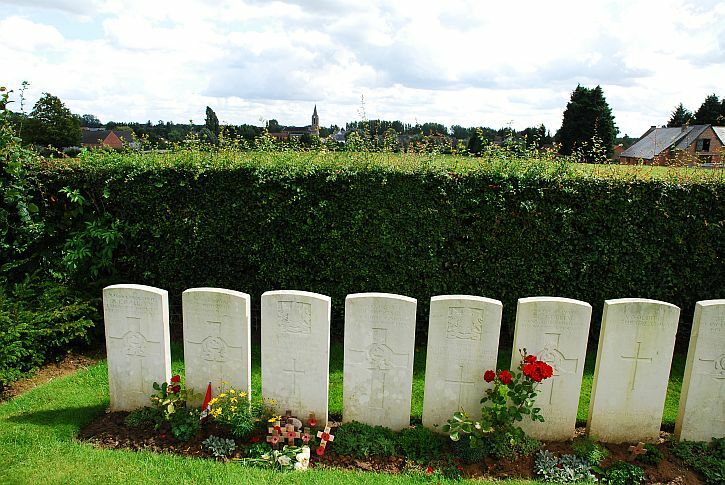 You are reminded, too, of the rows of white gravestones in a British war cemetery. 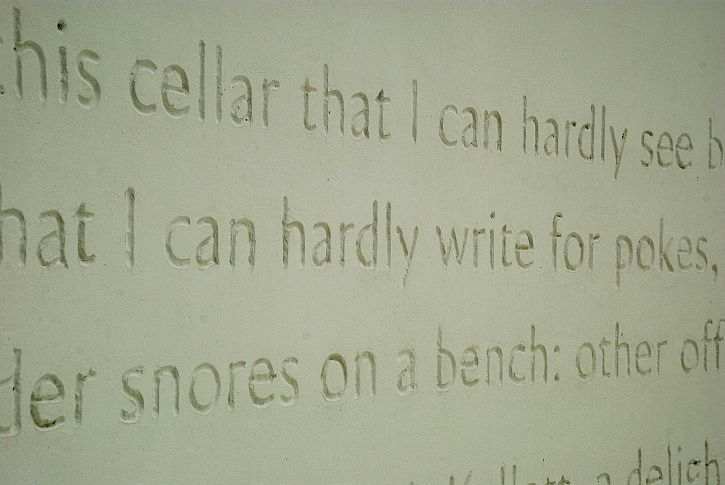 The brick-lined cellar where Owen and his platoon spent their last night remains untouched, but the interior of the house has been gutted, leaving an open white space, lit from above, and the walls clad with translucent glass onto which are etched drafts of Owen’s poems. Once I learned of this place I was keen to visit. But I was disappointed to discover that on the day that I would be at Ors, the Forester’s House would be closed. However, the tourist office website indicated that it was sometimes opened at other times for group visits. I emailed to ask whether a group would be visiting on the afternoon I passed by, and whether I could tag along. To my surprise, I received a reply offering to open the House just for me. 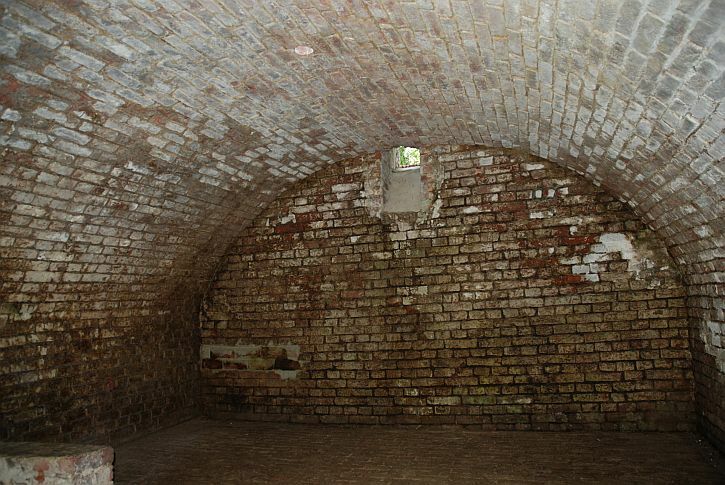 I arrived at the agreed time, and was met by a guide from the tourist office at Le Cateau-Cambresis who first of all took me down the steps into the cellar, which remains untouched and is accessed by a curved ramp, alongside which runs the text of Owen’s last letter home to his mother. Entering the cellar, you are struck by how crowded it must have been that night when 29 soldiers were holed up here, smoking like chimneys. As you begin to absorb the surrounding a recording begins of Kenneth Branagh reading Owen’s last letter to his mother. 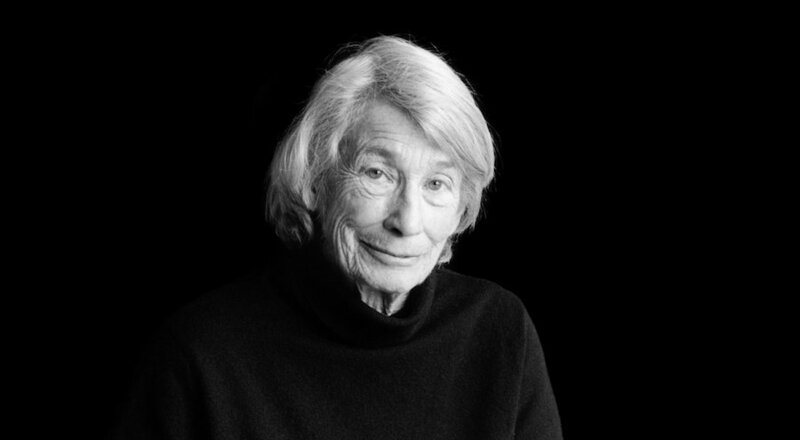 It is observant, amusing – and deeply moving. Thurs. 31 October  6:15 p.m. 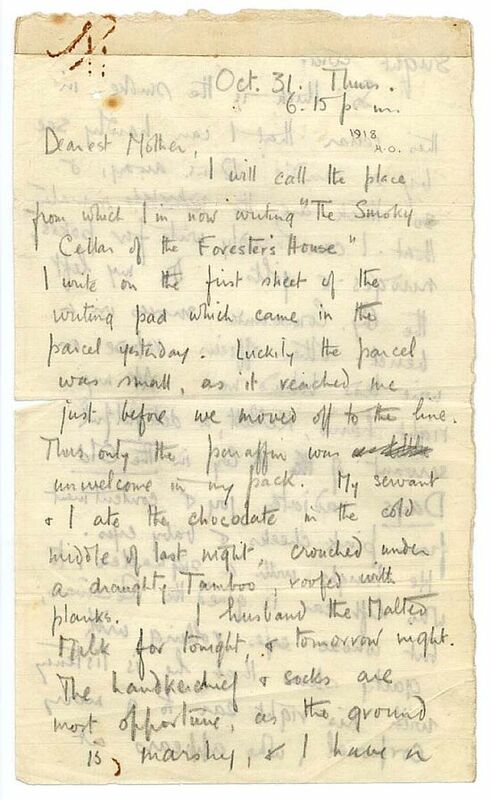 I will call the place from which I’m now writing ‘The Smoky Cellar of the Forester’s House’. I write on the first sheet of the writing pad which came in the parcel yesterday. Luckily the parcel was small, as it reached me just before we moved off to the line. Thus only the paraffin was unwelcome in my pack. My servant & I ate the chocolate in the cold middle of last night, crouched under a draughty Tamboo, roofed with planks. I husband the Malted Milk for tonight, & tomorrow night. The handkerchief & socks are most opportune, as the ground is marshy, & I have a slight cold! So thick is the smoke in this cellar that I can hardly see by a candle 12 ins. away, and so thick are the inmates that I can hardly write for pokes, nudges & jolts. On my left the Company Commander snores on a bench: other officers repose on wire beds behind me. At my right hand, Kellett, a delightful servant of A Company in The Old Days radiates joy & contentment from pink cheeks and baby eyes. He laughs with a signaller, to whose left ear is glued the Receiver; but whose eyes rolling with gaiety show that he is listening with his right ear to a merry corporal, who appears at this distance away (some three feet) nothing [but] a gleam of white teeth & a wheeze of jokes. It is a great life. I am more oblivious than alas! yourself, dear Mother, of the ghastly glimmering of the guns outside, & the hollow crashing of the shells. From the cellar, my guide led me into the main house where you enter a large, empty space with no photographs or war memorabilia – just Owen’s handwritten draft of ‘Anthem for Doomed Youth’ reproduced along the walls. 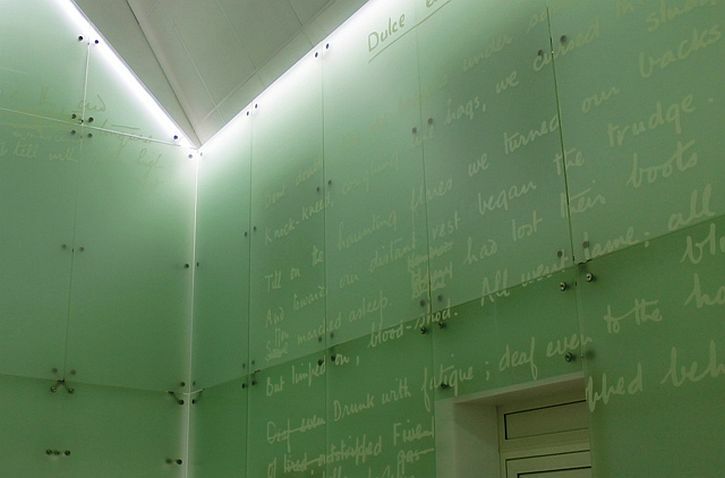 The lighting is dimmed and the words of Owen’s ‘Dulce et Decorum Est’ in the poet’s own handwriting is projected onto the facing wall as Kenneth Branagh reads the poem. As a teenager, overwhelmed by the power of ‘Dulce et Decorum Est’, I would never have imagined that one day I would be here, in the place where Owen spent his last hours. Shaking hands with my helpful guide, I left for the place where Owen and his companions met their fate, on the banks of the Sambre-Oise canal just outside the village of Ors. The operation planned for 4 November 1918 seems almost suicidal. In order to cross the canal, the British soldiers had to install a floating bridge under fire from the German machine-guns positioned on the opposite bank. 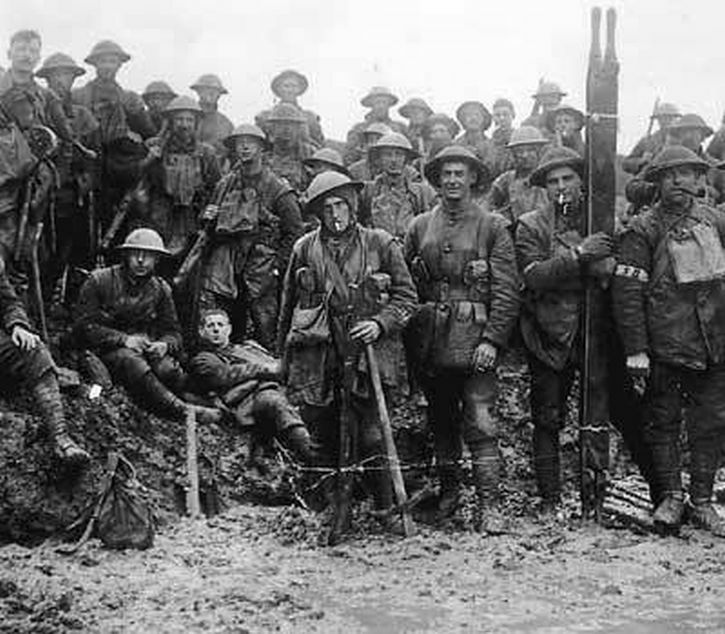 At 05:45 on 4 November, Owen’s battalion went into action. Accompanying them were men of the Royal Engineers whose task was to assemble, on the canal bank, the sections of the prefabricated floating bridge. The operation had barely started before it was over. A few men managed to cross the canal, but the bridge was destroyed. Hopelessly exposed, a great number of the British soldiers fell under German machine-gun fire. Among them was Wilfred Owen. Futility? He was twenty-five years old, had published four poems and had written a hundred other unpublished texts half of which had been produced between 1916 and 1918. Two days later, on 8 November, Owen was awarded the Military Cross for his exemplary conduct in an earlier action. On the same day, he was buried in the small square reserved for British military graves in Ors village cemetery. The war ended three days later, and in Shrewsbury, on 11 November, as the bells rang to celebrate the Armistice, Owens’ parents were handed the telegram that all parents feared receiving. They will be swift with the swiftness of the tigress. In his lifetime Owen published only four poems. It was after the war, championed by the poets Siegfried Sassoon and Edmund Blunden, that Owen would finally gain the recognition he deserved. Bridges laid down, quickly, efficiently, no bunching at the crossings, just the clump of boots on wood, and then they emerged from beneath the shelter of the trees and out into the terrifying openness of the bank. As bare as an eyeball, no cover anywhere, and the machine-gunners on the other side were alive and well. They dropped down, firing to cover the sappers as they struggled to assemble the bridge, but nothing covered them. Bullets fell like rain, puckering the surface of the canal, and the men started to fall. Prior saw the man next to him, a silent, surprised face, no sound, as he twirled and fell, a slash of scarlet like a huge flower bursting open on his chest. Crawling forward, he fired at the bank opposite though he could hardly see it for the clouds of smoke that drifted across. The sappers were still struggling with the bridge, binding pontoon sections together with wire that sparked in their hands as bullets struck it. And still the terrible rain fell. Only two sappers left, and then the Manchesters took over the building of the bridge. Kirk paddled out in a crate to give covering fire, was hit, hit again, this time in the face, went on firing directly at the machine-gunners who crouched in their defended holes only a few yards away. 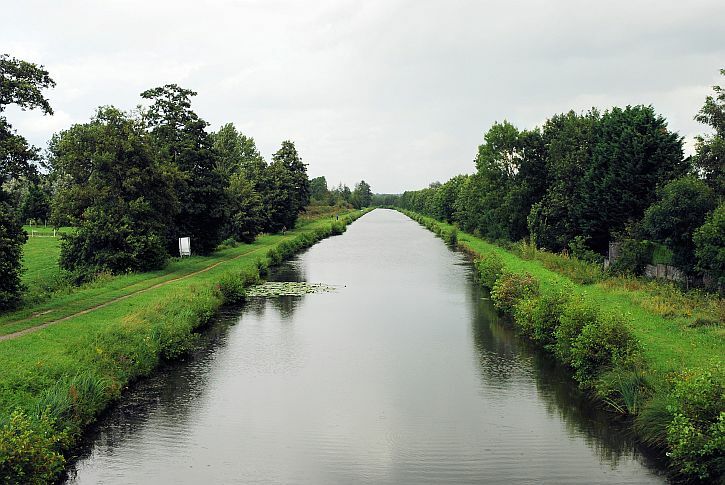 Prior was about to start across the water with ammunition when he was himself hit, though it didn’t feel like a bullet, more like a blow from something big and hard, a truncheon or a cricket bat, only it knocked him off his feet and he fell, one arm trailing over the edge of the canal. He tried to turn to crawl back beyond the drainage ditches, knowing it was only a matter of time before he was hit again, but the gas was thick here and he couldn’t reach his mask. Banal, simple, repetitive thoughts ran round and round his mind. Balls up. Bloody mad. Oh Christ. There was no pain, more a spreading numbness that left his brain clear. He saw Kirk die. He saw Owen die, his body lifted off the ground by bullets, describing a slow arc in the air as it fell. It seemed to take for ever to fall, and Prior’s consciousness fluttered down with it. He gazed at his reflection in the water, which broke and reformed and broke again as bullets hit the surface and then, gradually, as the numbness spread, he ceased to see it. On the edge of the canal the Manchesters lie, eyes still open, limbs not yet decently arranged, for the stretcher-bearers have departed with the last of the wounded, and the dead are left alone. The battle has withdrawn from them; the bridge they succeeded in building was destroyed by a single shell. Further down the canal another and more successful crossing is being attempted, but the cries and shouts come faintly here. The sun has risen. 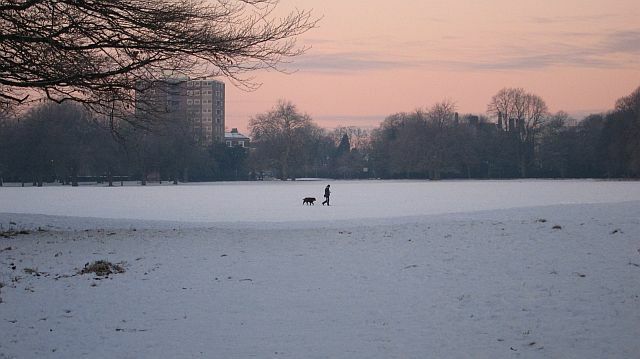 The first shaft strikes the water and creeps towards them along the bank, discovering here the back of a hand, there the side of a neck, lending a rosy glow to skin from which the blood has fled, and then, finding nothing here that can respond to it, the shaft of light passes over them and begins to probe the distant fields. Wilfred Owen remains contradictory: not quite a pacifist, he even hated ‘washy pacifists’; he wrote ‘Dulce et Decorum Est’ but he also wanted chivalry; he was the eternal boy who was a grown-up voice in an infantile war; he loved home but was eager to escape it; he was a Christian of a kind, who disliked the Church; conservative and radical, normal and abnormal; the snobbish supporter of the downtrodden; the poet of modernity who was in love with the past; the realist and romantic; he was an innovative and traditional writer who was devoted to poetry and wrote, in the preface to his poems, ‘Above all I am not concerned with Poetry’; he longed for friendship and solitude; he fought gallantly, and urged his men to fight bravely, in a war he had been reluctant to join and then came to oppose bitterly. This is another part of why the man and his poems are so popular – he can appeal to everyone, and remains intriguing. Behind the counter at the newsagent, Jamal looked a little worse for wear: ‘I didn’t get much sleep last night,’ he said, explaining that the start of Ramadan always tended to knock his body rhythms for six. He’d got to bed late after evening prayers, and couldn’t sleep. Knowing he would have to be up at 3am to eat before morning prayers, he’d finally abandoned all thought of sleep. We went on to have an interesting conversation. Jamal is a scouser whose Yemeni father would once deliver the newspaper right to our door. He says he’s grateful that his mixed ancestry has gifted him with two countries where he feels at home. He says he’s travelled to many countries and what he has found is that people are pretty much the same everywhere. He says all of us, whatever our faith – Muslim or Jew, Christian or Hindu – are taught by our religion that it is right to feed a stranger or look out for a neighbour. But now he is troubled: his Yemeni homeland is being torn apart in a war between Sunni and Shi’ite. His Muslim identity is being fractured. And anyway, there is more to him than just being Muslim. He is English and proud of it; he is Yemeni and proud of that too; he is Liverpudlian and proud of it; he is European and proud of that too. He is moved to tears by the Manchester bombing – but also by the ISIS bomb that killed 15 and wounded dozens last night as Muslim families in Baghdad broke their Ramadan fast at an ice cream shop.